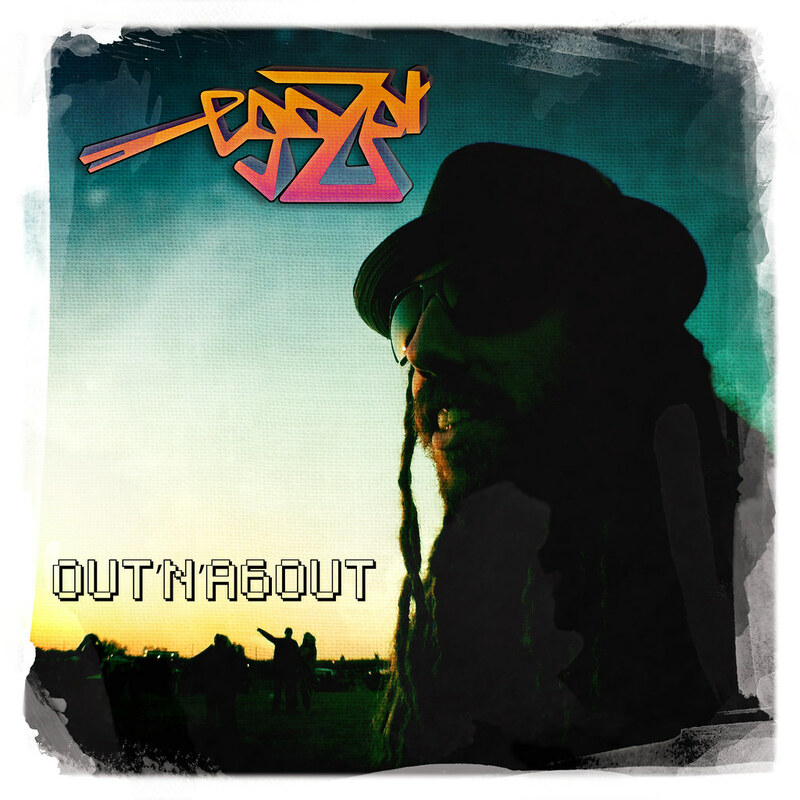 Idan Egozy, aka egozot may be a difficult name to pronounce but the music he creates is certainly easy on the ears. His most recent claim to fame extends from his musical contribution to Spiky Snail’s Xbox LIVE Arcade puzzle hit The Splatters, yet his career is as diverse as the composition he crafts. Idan is important to Esperino for two reasons – firstly, he’s the person from where I drew inspiration for the Fine Tuning Interview series and secondly, (probably more importantly), he makes a hell of a soundtrack! egozot doesn’t just produce video game music, he plays them, so who better to make music than someone who has a deeper appreciation of video games. For this instalment of Fine Tuning, we’ll be getting up close and personal with Idan Egozy, to better understand the man behind the music and the composing process which most gamers may take for granted. Hit the play button below, sample some of Egozot’s work and sit back for an insightful look into one of gaming most talented musicians out there. Hangie: Tell our readers a little about yourself, such as your study background, how you got involved producing soundtracks for the video game music industry, your favorite piece of audio equipment, and perhaps your future goals? 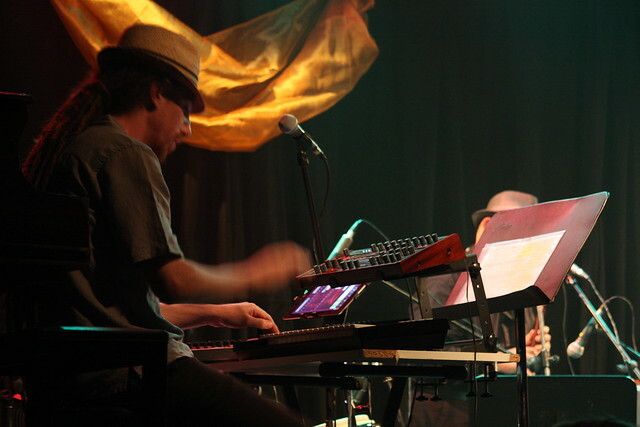 Idan: I studied music production for 3 years in a place called “Muzik” in Tel-Aviv. It’s a great little school that gave me a set of tools I could really use. You see, I don’t come with a vast musical background so I pretty much had to start from scratch. I tweaked around a little with sound software growing up (stuff like Fruity loops, Rebirth and Scream Tracker) but nothing too major till my studies. I did however, learn how to DJ while I was on a long trip to South America. I used to hook up an mp3 player and a mini disc (remember those?) and DJ in the room and later got invited to play at parties. Those experiences made me realize I could really do this for a living. While in school I scored a minor composition gig. I was working as a support rep for an online games company, so I got to do some sounds write some music for their games. I’ve always been into games since I was about 4 when we got an Atari system hooked up in the living room, I moved through different consoles, handhelds and PC’s. After quitting my office job and becoming a full-time musician and sound artist, composing music for games just seemed like the next logical step! As far as my favorite audio equipment well, that’s a tough call so if you’ll indulge me I’d like go over a few. I absolutely LOVE my Virus TI synth module, nothing beats having that hands on touch when you are messing about with sounds on a synth. I find myself hooking up my iPad and iPhone to use some of the fantastic synth apps that are available such as Korg’s iKaossilator and iMS-20. Last but not least is my UAD effects card which lets me use emulations of some of the best sound hardware of the last century straight from my laptop. It’s been making a real difference on the overall sound of my works for the last couple of years. In the future I want to be able to combine work on my original material, solo and band live shows around the world and still be able to work on music and sounds for games. I’d like to be involved in the production of a big AAA title, you know something really massive with a huge sound budget. Although I am loving the artistic freedom you get working in the indie scene and that’s something I would not like to give up on. Hangie: Walk us through a typical work day in the life of egozot. Idan: I do a lot of different stuff. One day I could be doing sounds for an online flash game, the day after I might be working on a dub step remix and later in the week I could be spending a day mixing and mastering some other artist’s materials or it could all be happening the same day. Did I mention I love my job? I usually get up and get right to it, if I am doing sound work, like mixing or mastering I like to start early when my ears and brain are still fresh. Later in the day I might practice some keyboard playing or do some online promotion and try to score my next big gig. Hangie: As with any vocation, there are positives and negatives that come with it. What are aspects of your occupation that you love, what do you dislike, and what would you change if you could? Idan: I love that the core of what I do is creative work. This is something I’ve been committed to long ago, a few years before I even decided I would be a musician. I knew that I wanted to create something that simply wasn’t there before. I love being on stage and performing, going to rehearsals or just jamming with other musicians there’s nothing quite like it. I really dislike the lack of respect for the the music profession where I live. People have no idea how much work and effort we musicians put into our work, it’s a true calling to be a musician and the general population simply doesn’t acknowledge that. Bands are getting ridiculous deals in venues, the wages for composition and sound jobs is very low to nothing at all especially for new musicians. It is generally expected of them to work for free in exchange for “exposure” or “good karma” or what have you. It’s a job like any other and should be rewarded as such. More specifically in the indie game industry I sometimes get the feeling that sound and music are both an after-thought, musicians usually come at the very last stage if at all. I’d very much like to see a change in that approach as I strongly feel that we provide a crucial component to a game’s success. Hangie: Which video game music artist if any; inspires you and which are your favourite video game soundtracks? Idan: There are many but I’ll try to keep it short: I am a big fan of Disasterpeace, I think he did a great job scoring Fez. I also love Tomáš Dvořák’s (aka floex) work on Machinarium and C418’s amazing work on Minecraft and Jim Guthrie’s work on Swords and Sorcery. I think all of these composers represent a new wave in video game scoring, they all bring something extremely fresh and cool but still very loyal to video gaming’s roots. I grew up on Sega Master System so I am a real fan of 8 bit music from old school games such as – Golden Axe Warrior, R-Type and Shining Force to name a few. Portal 2‘s soundtrack by Mike Morasky also comes to mind, I love that game and the music complemented it very well. 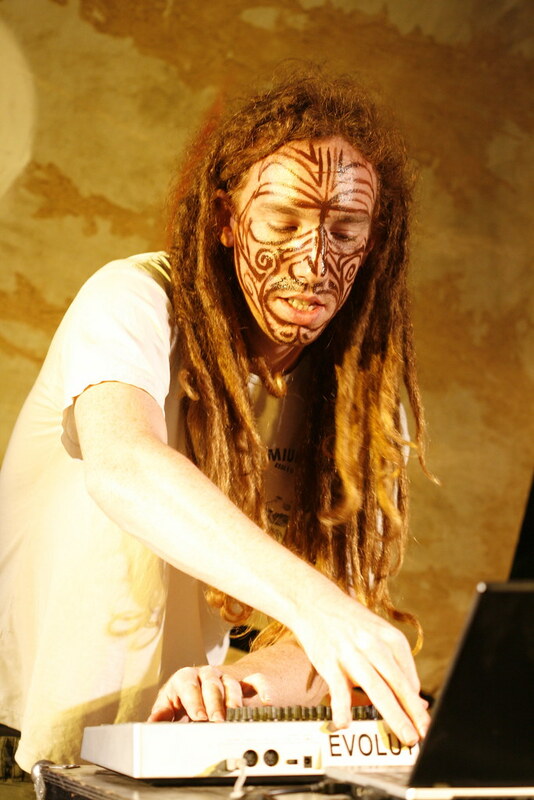 I must mention Tiny Wings developer, musician, artist and designer – Andreas Illiger as well. That man is an army of one and I love the music he made for it almost as much as I love the actual game. I also love the old Lucasart games like the Monkey Island and Indiana Jones series and their respective scores. 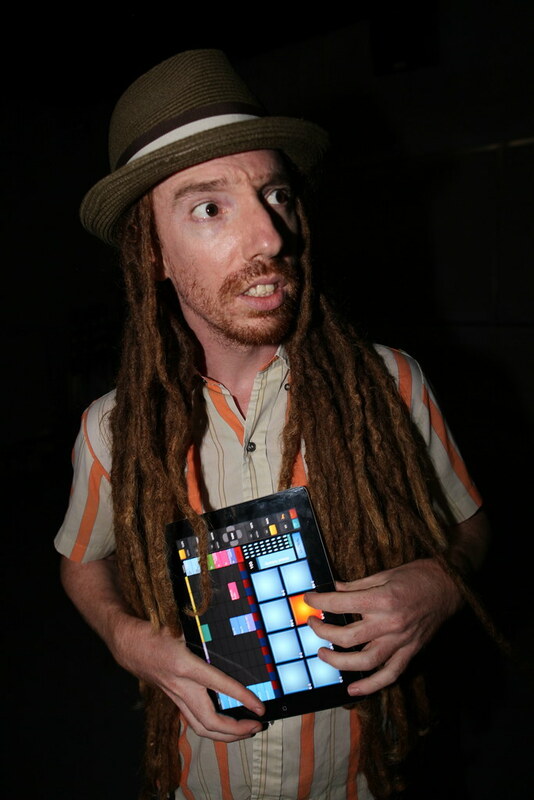 Aside from all of the above and not necessarily game related, a constant inspiration are artists such as Tipper, Simon Posford and his different projects especially Shpongle. Hangie: Do you ever get a case of ‘writer’s block’, and what do you do to fire up that creative spark when composing? Idan: Well it really depends on the job, if it’s a smaller game with a very straight forward theme (like the series of small online games I am currently working on) then I probably won’t get stuck at all. I mean if it’s a karate theme’d game I would write a Japanese style score with some of their traditional instruments on a sampler. On slightly bigger jobs I might sometimes get a bit of a writer’s block. This might happen when I had only recently started to work on a project and I am still searching to find some common ground with the development team, getting a feel for what sort of game they are making and what music would best suit it. If that happens I might just switch to some other work I have lined up and come back to it fresh later. Another good solution is co-operating with a fellow musician like I did on The splatter’s menu music where I worked with Liran Kehat (aka Kishta). Hangie: Your portfolio doesn’t just include work on video games, but you’ve also dabbled in theatre, mixing and live performances. Which amongst these are your favorite to work on, and is there a track that you’ve composed which is especially meaningful to you, and why? Idan: I honestly love working on all these different musical pursuits as they each carry their own rewards and accomplishments. There are always advantages and disadvantages. In the video games field you’ll never get the instant gratification you get when performing in front of a live audience, but you might end up reaching a much bigger audience. Just knowing that possibly right now, somewhere out there someone is playing The splatters on their Xbox listening to music that I made is mind boggling. 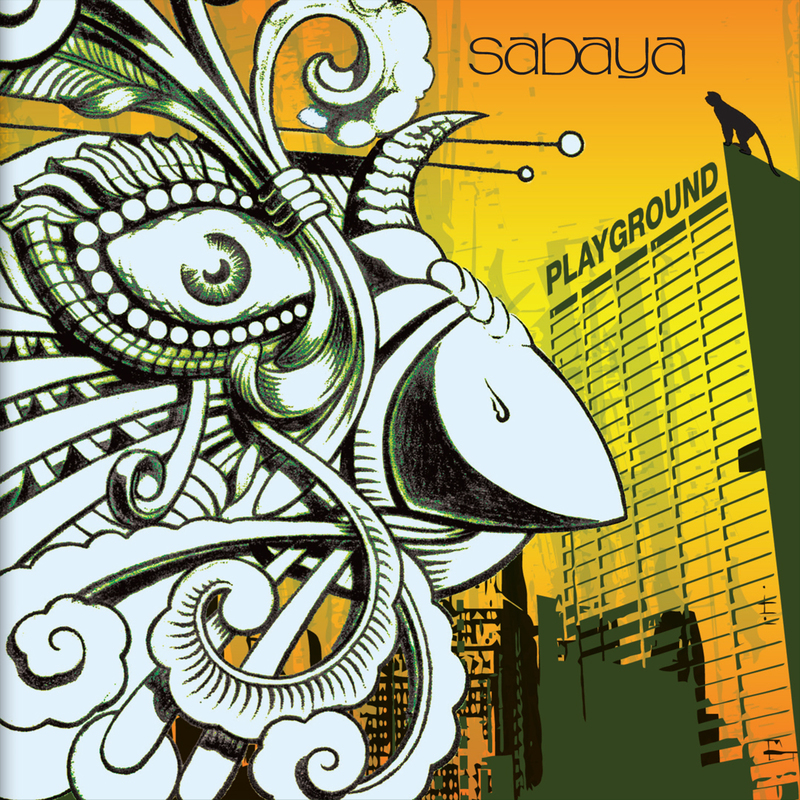 I am also very proud of the work I did with my band Sabaya and the album we produced together, the band has since dissolved but they still play some of our songs on the radio and that is just awesome to randomly hear your song being played while riding in the car. Mixing and sound work is also very gratifying because you get the chance to put that last coat of paint and polish needed so the artists can publish their work. Sitting in the theater and seeing a show with music I composed for it for the first time with the full costumes, decor and lights was very exciting as well. As I said I really love all aspects of my line of work. Having said that, composing for video games has always been a dream of mine and now that I am actually doing it I would very much like to continue for years to come. I really like the track “Bouncing balls of light” which was the last track I handed in for The splatters before they released it. It took some time to really get what exact feel the developers were going for and once you really understand what works you feel like the track writes itself which is exactly what happened with that one. 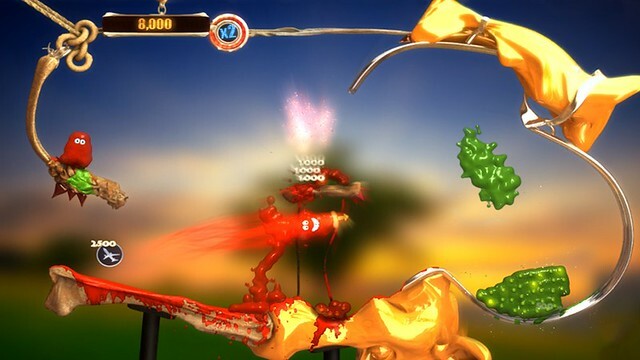 Hangie: One of your most stand-out pieces of work that recently made gamers take notice is your musical collaboration on the Xbox LIVE Arcade puzzle hit, The Splatters. Many who experienced The Splatters (including our own reviewer) commented on how well it complemented the atmosphere. I got to ask, how did you score the gig to work on this indie title, and what kind of challenges did it present to work on a puzzle game as opposed to your own work? Idan: Well I was reading an article about the game in a very big online newspaper site here in Israel and I just had to go for it. Immediately after reading it I looked for Spiky Snail’s website and wrote to them through their contact sheet. I gave them a link to my Soundcloud page (this was before I had set up my site) and told them I was a true game and a music producer that would like to work with them (exact text was actually: “Very talented sound designer\musician and avid gamer looking for work!”). They initially told me they already had most of the music for the game but that there might be room for an additional track or two, once I started to send them some sketches the response was very positive and we ended up using more music in the actual game. They are a real joy to work with. The music I ended up writing for the game was very much parallel to what I normally like to write. The real challenge was to keep it constantly changing so as to make it interesting enough so you won’t get bored hearing it repeat for an odd number of times. Hangie: There’s a certain energetic vibe and almost ‘bounciness’ in the track composition for The Splatters. The use of electronic backing gives your musical styling a uniquely joyful sound that I can’t help but wonder, if this was the thought behind it when going through the creative process. Was this the ‘feel’ you were trying for? Idan: The music you hear in The Splatters is what I love to make – fun, at times even funny, broken rhythm based music with evolving parts. Of course I was constantly testing it out on footage from the game in development to make sure I was getting the atmosphere right. Funny thing is that when I tried to write music for The Splatters that was similar to the licensed music that they had already got for it, they didn’t like it for the game, but when I wrote music that was more my style it ended up in the game. I’d love to test these tracks out on a dance floor at one point. Hangie: SpikySnail Games (developers of The Splatters) have much input to the composing process? Was there much collaboration between the developers and yourself through the various level designs? Idan: Certainly, Niv one of the co-founders of SpikySnail Games used to dabble with music in the past a bit he and Sagi definitely had a clear idea of what would work best in the game. Basically, I’d get a video of gameplay to work with and that’s it. Seeing as I joined the team very late in the game’s development I pretty much worked with what was already there and tried to set the mood according to what I saw. I only got to play the game after it went gold and only actually met the guys a few months after the official release. They were just so busy putting the final touches and doing a lot of leg work promoting it up to the release so it kept getting pushed back till we finally got together for some drinks at a screening of “Indie game – the movie” about a month ago. So up until then all of our correspondence was done via email, which worked absolutely fine. Their input was both helpful and crucial, and really helped me tighten up the tracks that ended up being used in the game. Hangie: Are there any tracks that didn’t quite make it into The Splatters? I’d love to hear a sample if there is. Hangie: What’s a little known fact about Idan Egozy? Idan: I am a fire juggler. Hangie: If you weren’t composing music for video games, what would you like to do instead? Idan: I had my choice between Photography and Graphic Design in some of the best schools in Israel so I went for the latter. I quit after a month and went to study Music Production instead and never looked back. If we’re staying in the realm of composition – I’d very much like to write for the cinema. Films have always fascinated me so I would love to do that as well at one point. Hangie: Do you have any suggestions, advice or pearls of wisdom for those looking to break into the video game music industry? Is it an occupation you would recommend? Idan: I recommend pursuing your dreams. There’s nothing quite like playing a game with your music and\or sound, it’s still a big thrill for me and well worth it. About breaking into the industry, just do what ever you can to be at the right place at the right time. 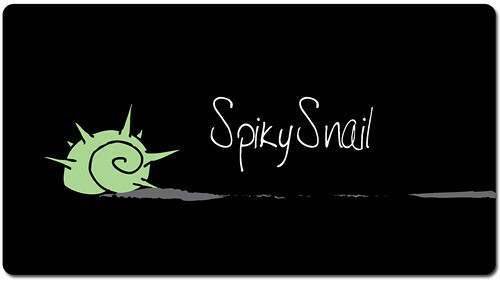 Anyone could have done what I did with Spiky Snail, just take initiative and if you see a project you like – go for it! Other than that there are always some cool conventions being held like the Global Game Jam, that’s the one where you make a game in 48 hours. Go to those events make yourself known to the local developers community, be aware of what’s going around you. I figure that the gaming industry is in a golden age right now, I don’t think there’s ever been a period in recent history where more people have played this huge variety of games on so many different platforms. There are a lot of games out there and they all need music and sounds. Hangie: Any closing comments or thoughts you’d like to share with our readers, eg. social media account information, upcoming projects, etc. Idan: I am happy to say that I am currently working on some more music for The splatters for it’s release on a different platform. I am also working on my own material for an album, it’s mostly dub step and breaks in varying degrees of filth and glitch. Thanks to Idan Egozy for taking the time to provide us an in-depth look into his life. If you’ve liked what you heard so far, be sure to follow egozot’s work in the links above and keep an eye out for more of his musical bliss in upcoming releases.